Coral Sun Airways crew at Bikini Island. Tony tell us something about yourself and how you ended up living in Kiribati. I'm a Vietnamese-Australian who grew up in Melbourne within a typical Asian family. I didn't want to follow the typical professions my family wanted for me, such as engineering or health science. I just couldn't envision myself waking up every morning to a desk and four walls.Ironically, I did study engineering for the first few years after high school. However, during that time, I learnt a lot about doing other type of work. Such as engineers of journalists who test new to-be-released cars or people who try and test new food products before they are on the supermarket shelves, and they get paid to do it. 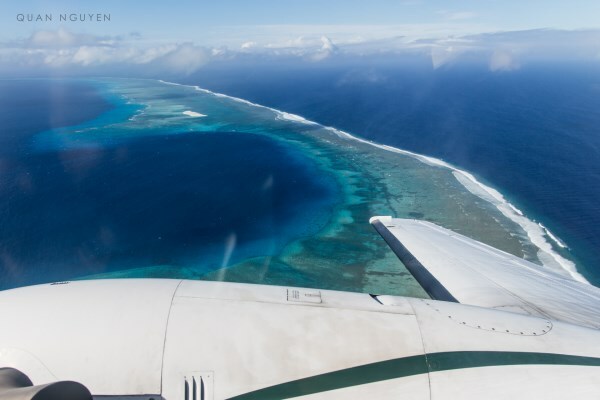 That's how I got into flying, do something I love, have fun, and get paid to do it - and that's how I ended up in Kiribati. 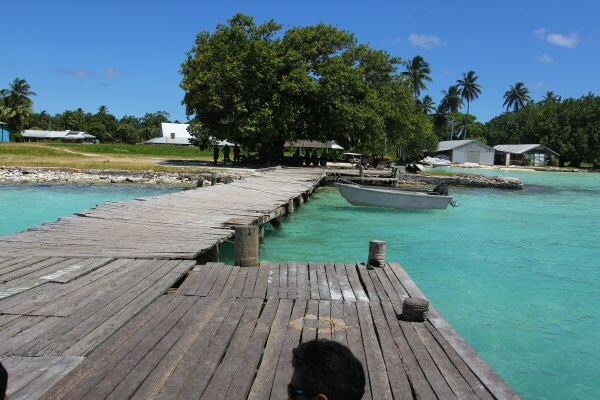 What is life like in Kiribati? Are there (m)any expats working and living there? How do you entertain yourselves? Life is simple, very simple compared to Melbourne. You are isolated from the rest of the world and their political issues. However, for me the simplicity is quite positive indeed. Everyone is nice and friendly, although they may seem poor to Western countries but in fact they are not. Nobody is hungry, everyone is well-fed and there is a surplus of fish too. The people here just appreciate the simple things without complaining. There are a handful of bars and night clubs along the island which are quite popular on weekends. The locals are also entertained by local leisure sports such as tennis, soccer, badminton or football. The Australian High Commission has weekly and monthly gatherings where most expats meet and greet. There are a few expats here, mainly for aid work in the hospitals or sustainable development projects such as roads, sewage systems, telecommunications etc. Tell us a little about the operation of Coral Sun and its aims. 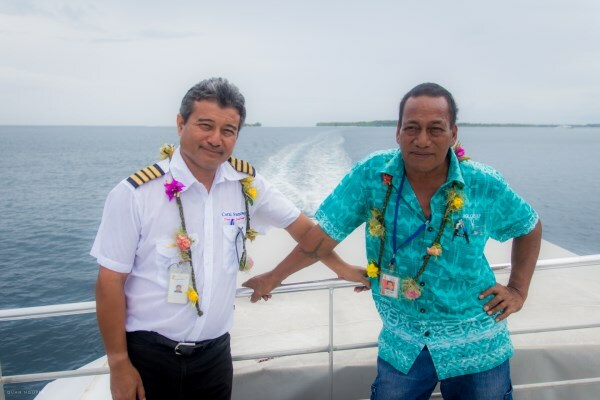 Coral Sun Airways is an air charter operation based in Tarawa, Kiribati. We operate a Beechcraft Super King Air 200 that's air-conditioned, pressurised and configured to 8 executive seats. On a charter basis, we provide both domestic and international aviation services such as Medical Evacuations, Search and Rescue, Aerial Surveillance and private charters. 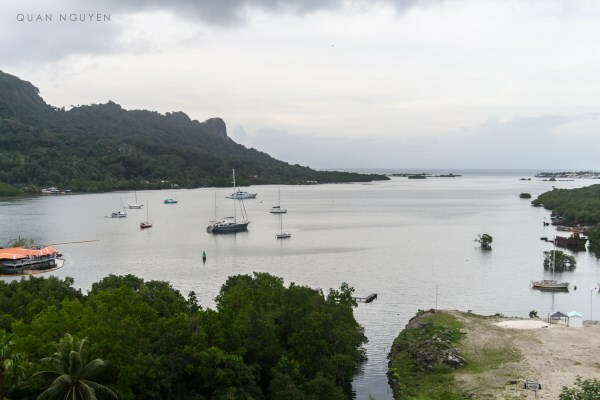 Due to our convenient location in the Central Pacific, we can efficiently provide private charters to travellers who wish to hop across islands. 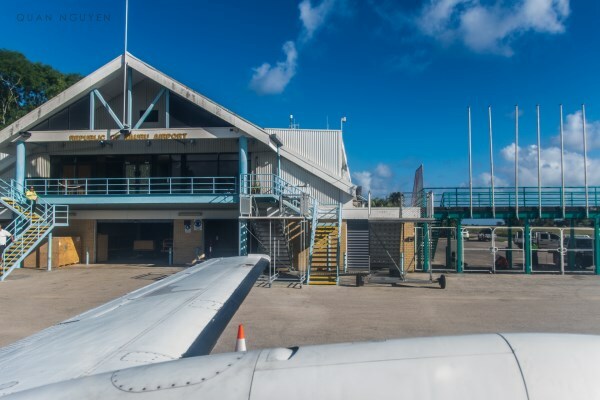 We understand travelling the Pacific islands can be costly and time-consuming due to airlines' route structure leaving passengers no choice but flying from one airline to another via an airline's hub, even though it may only take 2 hours if you fly direct. That's where we come in, travellers can charter our aircraft and hop the islands with most islands only about 2 hours apart on the King Air. So, which places do you fly to? Which one is your favourite and why? So far, we've covered Palau. Guam, Federated States of Micronesia, the Marshall islands (including Bikini island), Tuvalu, Samoa, Niue, Tonga, Wallis & Futuna, Rarotonga, Tahiti, Australia, New Zealand and our own domestic islands including the Gilbert islands, Kanton, Kiritimati (Christmas island) and Fanning. I personally don't have a favourite yet. however I must say we do rely on Apia for the best services for the crew, airplane and passengers. What are the challenges and benefits of operating in the region? The challenges we may face are typical aviation issues that may cause delays to the schedules. This ranges from ground handling issues to passenger delays from their hotels. Weatherwise it is quite predictable in the Pacific. With experience, we anticipate where the bad weather develops in the region. Do you have any plans to expand or to provide scheduled flights? At this stage, we do not plan on scheduled flights but only our charter operation. However, we do have plans to expand, particularly with passengers hopping the islands. At the moment, we only operate the King Air, however expanding the fleet to include faster and larger planes is also in our vision. On a more personal note, have you travelled a lot beyond the Pacific? Which places fascinate you and why? With my Vietnamese background, I have travelled to Vietnam several times, as well as its neighbouring countries. Most South-East Asian countries are rather similar in culture and development. 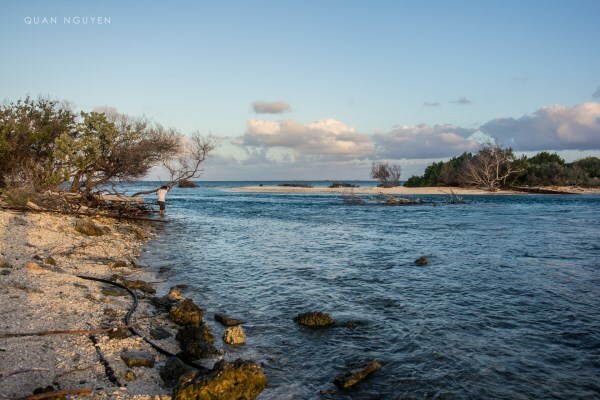 The place that most fascinates me is actually the place where I am based, Tarawa. Life is so simple compared to the luxuries of the more developed world and yet, everyone and happy and grateful for what they have. It makes me realise the luxuries I take for granted back in Australia and appreciate them more. Which place you haven't been to would you really like to visit and why? I haven't been to many places, and I want to see them all! Tell us a travel story that has impacted you. 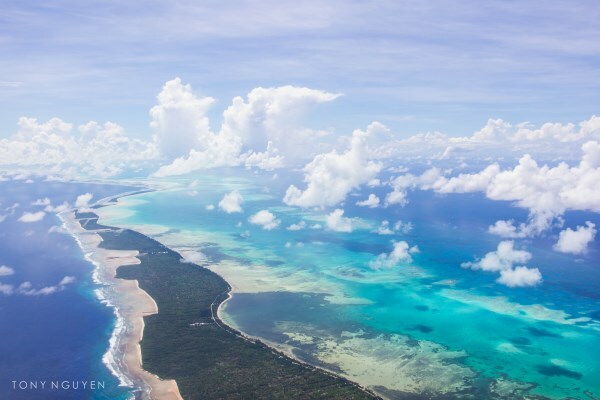 Again, Kiribati. Just relocating and travelling around Kiribati has had a very big impact on my life. I just appreciate the simplest things in life now. Sorry, I don't really idolise any person to be able to answer this question. The photographs accompanying this interview are from Tony's private collection.